We never want cost to be a barrier. We are offering fully subsidized spots. Please email Arlea@creativemanitoba.ca to receive the promo code to register for free. Brought to you in partnership with Boozhoo, a locally owned and operated online sales platform for Indigenous, First Nations, Metis, and Inuit artists to showcase their talents and sell their artwork to prospective buyers, created by Metis Artist, jewelry maker, and entrepreneur Racheal Campbell. The Art of Managing Your Career Intensive –Indigenous Perspectives is a fast-paced course that provides an overview of the practical skills you need to grow and manage your career as an artist. The course is open to anyone with an existing or emerging arts practice including craftspeople, dancers, filmmakers, musicians, new media content creators, visual artists, writers and knowledge keepers. If you are a self-employed artist, or looking to increase the portion of your employment derived from your art, then this course is for you. Each participant will also receive two follow-up coaching sessions with professional lifestyle and career management coach Jessica Dumas, following the initial course to keep you motivated and on-track! Yvette Hawkes (Métis) is a Winnipeg-based freelance Visual Artist specializing in custom mixed media artwork and acrylic paintings. She has started and sold two companies, and was recognized as a finalist for the 2013 Woman Entrepreneur of the Year Award. 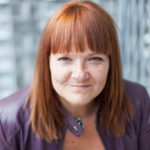 When she’s not creating, Yvette is a Business Coach and Trainer for the YMCA-YWCA Self Employment Program (SEP), plus a Partner and Senior Researcher at McCarthy Hawkes Consulting. Jessica Dumas is an Indigenous Professional Lifestyle Coach, Speaker, Influencer and President of Jessica Dumas Coaching & Training, with all-inclusive experience in executive coaching, group facilitation, and training, conflict resolution, and mediation, social media marketing, customer service training, program development, and management, professional speaking and community leadership. Jessica was recognized for as a finalist in the CBC’s ‘Top 40 Manitoban’s under 40’ for 2015 and the ‘2017 Future Leaders of Manitoba’. 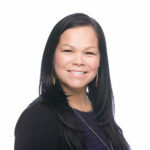 Her volunteer contributions have gained her wide respect within Manitoba while serving two years, as Chair of the Aboriginal Chamber of Commerce, serves as an executive member of the Winnipeg Mayor’s Indigenous Advisory Circle and is the incoming Chair Person for the Winnipeg Chamber of Commerce. Racheal (Métis) owns and operates Boozhoo, an online sales platform for Indigenous artists. She is a graduate of the Canadian Institute of Gemmology, a jewelry maker and designer by trade. Racheal is a small business entrepreneur having successfully run jiigibiig an Indigenous art store at the Forks Market for 6 years, and METLWRX in St. B, which also set up at Pow Wows and music festivals across the province. More recently Racheal was Manager of the art store Neechi Niche in Neechi Commons.